Adirondack Aquatic Center (AAC) has received its first $1 million pledge from an anonymous donor, marking the largest contribution to date toward the proposed $22 million, 80,000-square-foot facility. A local group plans to build such a center along the health and wellness corridor located off of Route 67 in Malta. The property is located across the street from Malta Urgent Care. 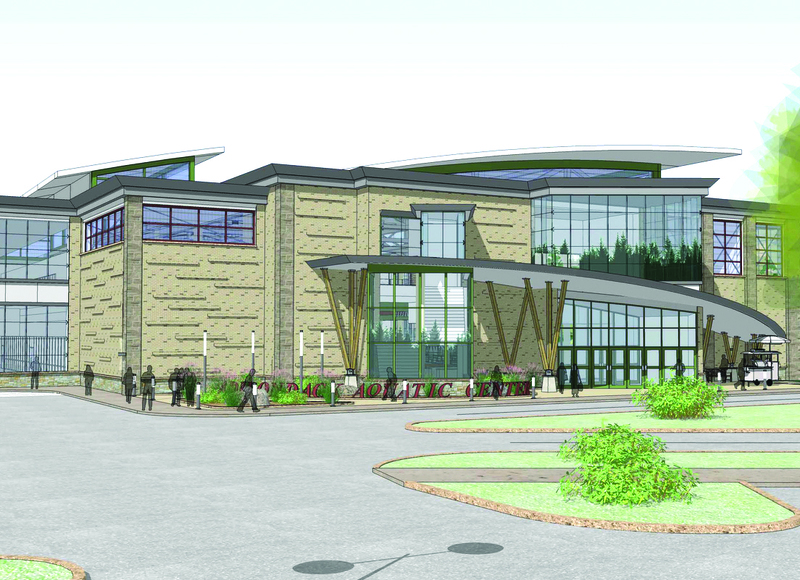 “This pledge brings us closer to realizing our dream—to build a state-of-the-art aquatic facility that community members and visitors can utilize for years to come for recreational and wellness, therapeutic and competitive training purposes,” said Kara Haraden, president of the AAC board of directors. “This $1 million donation will make a big splash in the efforts to build the Adirondack Aquatic Center and bring all of the positive economic impacts it would entail to the town of Malta and to the place where all good things emanate, the 49th State Senate District,” said state Sen. Jim Tedisco. AAC representatives said an official fundraising campaign will kick off in 2018. The board of directors is seeking both public and private sector funds. 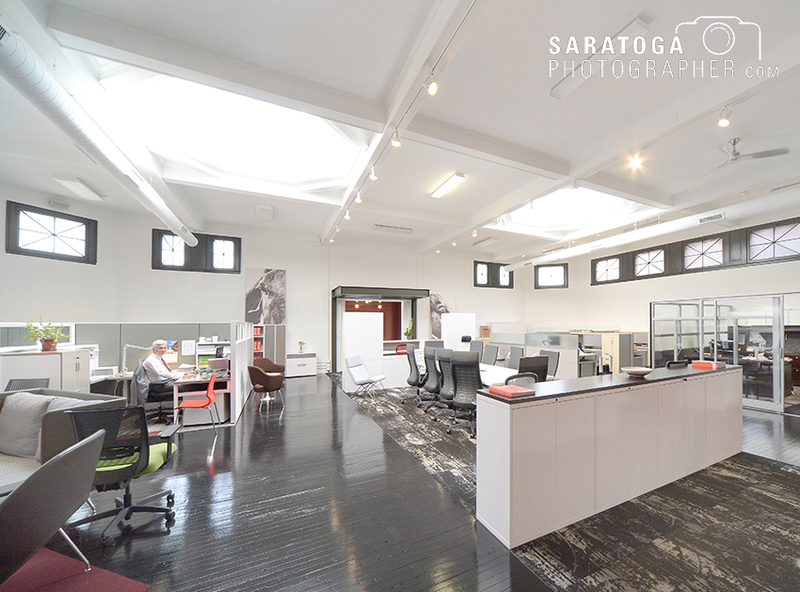 153 Regent St. in Saratoga Springs is now the home of drb Business Interiors. In a region where new office buildings, apartments, condos and mixed-use structures are rapidly taking over the landscape, there are still residents and business people committed to restoring and stewarding the buildings that are part of the rich culture of the region. In 1904 a stately brick building was erected at 153 Regent St., just a few blocks east of Broadway, to house the YWCA. The building was later purchased by Skidmore College and became part of its downtown campus, serving as a student union and a gymnasium. It remained part of the campus until Skidmore migrated north, leaving the Regent Street building to sit idle, gradually falling into disrepair. Sometime in the early to mid-1970s, the city of Saratoga approached a local businessman and asked him if he would buy the property and refurbish it. He agreed, provided the city would allow unrestricted use of the building. He also required that those terms would be transferable to successive owners. When Dorothy Rogers-Bullis and her husband, Dan Bullis, bought the building in 2013, the building had changed ownership multiple times. The couple, who own drb Business Interiors—a commercial design and furniture business—thought it would be a good place to showcase their office designs. 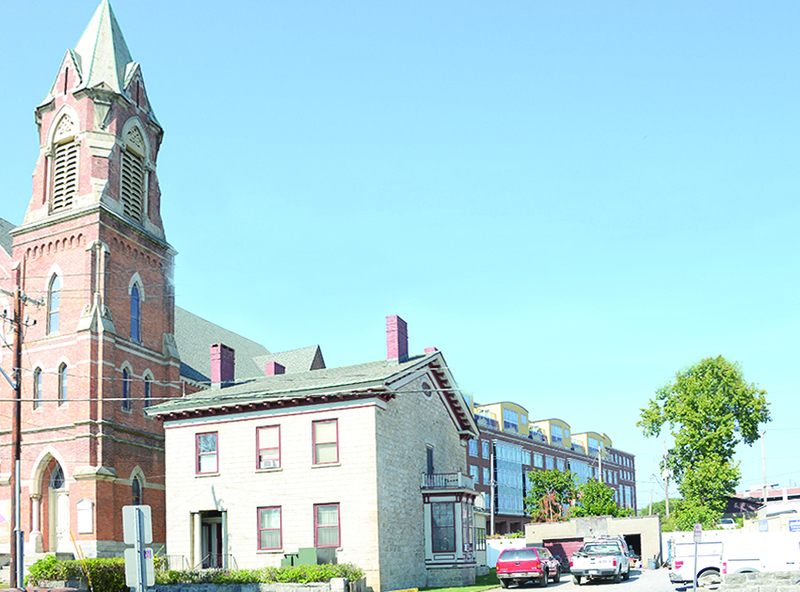 They immediately began the renovation process, “and we haven’t stopped,” said Rogers-Bullis. The first job they tackled was the roof. “Water poured into the building every time it rained,” she said. Walls, flooring all had to be ripped out and re-constructed. The entire plumbing, electrical and HVAC systems had to be replaced. The couple acted as general contractors and designed the entire building themselves. “That’s what drb Business Interiors does. We know how to design and build business spaces,” said Rogers-Bullis. With the Adelphi Hotel on Broadway in Saratoga Springs open, Richbell Capital, which owns the hotel, is turning its attention to another project, just around the corner at 19 Washington St. The Washington Street Hotel & Spa will be a six-story hotel, operated separately from the Adelphi. According to plans filed with the city Planning Department, the proposal calls for 50 rooms, a spa, indoor pool and outdoor patio. The former stone rectory ton the property will be converted into a guest suite and connected to the main building by a one-story corridor. Simon Mildé, Richbell CEO, said the project has been well-received so far and he is anticipating work to begin in October 2018. The project will be constructed in a single phase. The opening of the hotel and spa is planned for the summer of 2019, the plans state. The project will result in approximately 16 new permanent jobs. Six new employees will be required to support the spa. Ten new hotel employees will be added to support the hotel: four front desk staff, four cleaning staff and two valet attendants. According to the plans, the project includes 99 feet of frontage along Washington Street. An existing stone wall currently runs at the back of the sidewalk along this frontage, with openings for the walkway to the front door of the stone house and the existing driveway. The wall will be dismantled from the driveway opening to the eastern property corner, which will provide space for a one-way U-shaped driveway for guest drop-off. Henry Street Taproom owner Ryan McFadden, left, and chef Matthew Weeks. 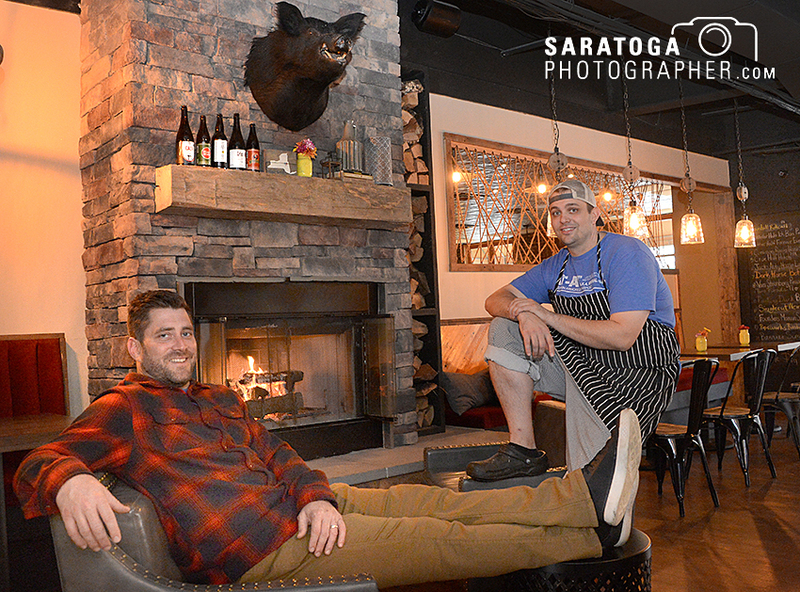 The Henry Street Taproom at 86 Henry St. in Saratoga Springs has expanded its dining area into space next door formerly occupied by Pizza Works. They have also expanded their kitchen and added a patio dining area and two fireplaces. The resulting establishment is about twice the size of the previous space. Ryan McFadden, proprietor of the taproom, said that things are “going really well,” a few weeks after opening the new space. The expansion allows them to host private parties, he said, and to expand their food menu. “It’s a more comfortable space,” he said. Chef Matthew Weeks will have a new menu ready in early November. McFadden did not yet have the details, but he does expect double-patty burgers to be a feature in it. Skidmore College has named Martin A. Mbugua vice president for communications and marketing. In this newly established role, Mbugua will provide strategic leadership and direction for all aspects of the college’s communications and marketing efforts. 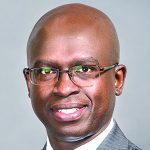 Mbugua will be the college’s chief communications officer, serving as a strategic advisor to the president and senior staff in the development and execution of communications and marketing plans to promote the college and its mission. He brings more than 20 years of experience in journalism and higher education communications to Skidmore, most recently as assistant vice president for content and communications at Carnegie Mellon University in Pittsburgh, where he led the university’s online news content, media relations, social media and internal communications teams. Previously, he was director of media relations and university spokesperson at Princeton University. Mbugua was a reporter with the New York Daily News; U.S. correspondent for the Daily Nation and Standard newspapers in Nairobi, Kenya; and assistant editor at the Queens Chronicle in New York City. He also served as communications and marketing manager at the City University of New York’s Murphy Institute and senior news editor at the University of Delaware. He holds a master’s degree in business administration from the University of Delaware and a master’s degree in government, politics and international relations from St. John’s University in New York City, where he also earned a bachelor’s degree in journalism. 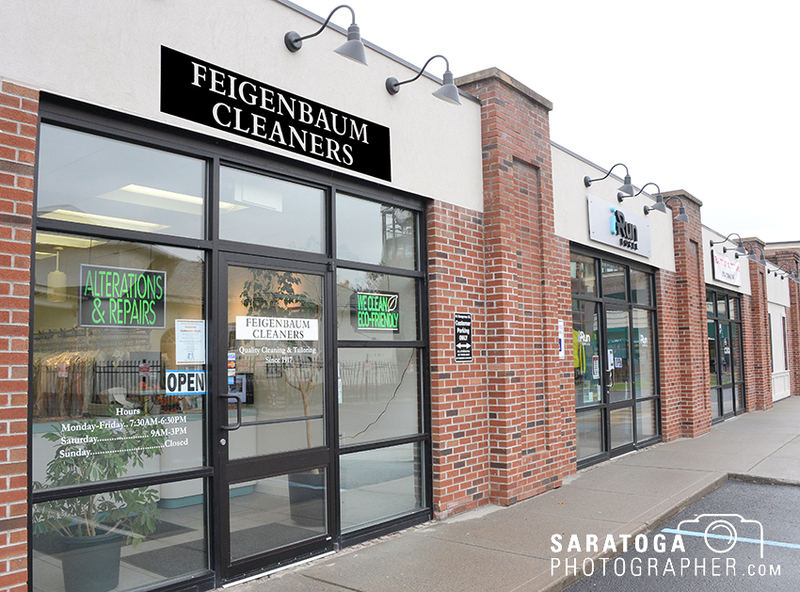 Feigenbaum Cleaners has moved to a new location. Its downtown Saratoga Springs store is now at 18 Congress St., on the corner of Congress and Hamilton Streets. Previously they were located on Railroad Place, in between Price Chopper and Bowtie Cinemas. This proved to be a challenging site for the store, because there was little parking available, according to ownership. “Convenience is the number one thing for our customers,” said Todd Feigenbaum, president of the company. The new location will offer much more parking for customers. It is located near businesses such as the Colwell Computers LLC, the Saratoga Visitors Center, Wendy’s, FedEx and CVS. A grand opening ceremony was held in early October. The company believes that this relocation will be helpful for their customers, and allow them to create a more pleasurable, customer service friendly experience. This building at 28 Clinton Ave. in Saratoga Springs was sold to the Suttons. 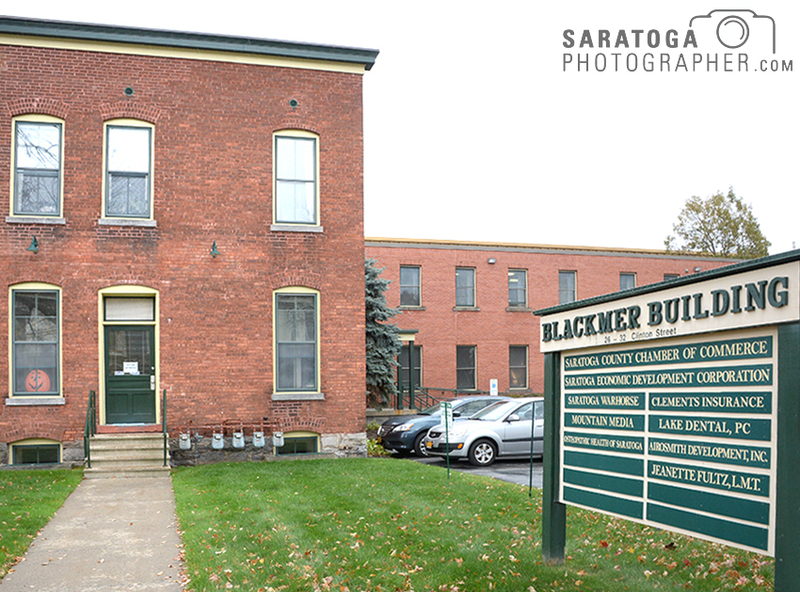 Rod and Amy Sutton have purchased the two-story, 34,000-square-foot Blackmer Building at 28 Clinton Ave. In Saratoga Springs. Sale price was $2.54 million, according to a deed recorded Oct. 6 in the Saratoga County Clerk’s office. Tenants include the Saratoga County Chamber of Commerce and Clements Insurance Brokers Inc.
Sutton is president of Sutton and Tarantino Insurance Agency Inc., which was sold a month ago to Adirondack Trust Co. under a succession plan that would assure the continuation of jobs for the firm’s employees. As a native Saratogian, Sutton said he believes in the economic welfare of the community. “I have seen and helped this community to grow, so we are reinvesting in it,“ he said. Greenfield Manufacturing Inc. (GMI) is preparing to nearly double its 2016 expansion, investing another $2.5 million to add product innovation, production and materials warehouse and packaging facilities to its Saratoga Springs-based chemical manufacturing and services facility, according to the Saratoga Economic Development Corp. (SEDC). The investment will retain its 13 employees and add seven additional full-time employees, according to SEDC, which has been leading the company’s request for local incentives of nearly $459,000. “It’s always great seeing entrepreneurs grow their business, and it is especially satisfying to support GMI’s continued growth in Saratoga,” said Dennis Brobston, SEDC president. “This is a prime example of why we focus first on homegrown small business because as they continue to innovate, they are more likely to expand here and our communities retain their talent, investments and job creation. We will continue promoting the area to attract companies relocating here, but as we noted in launching Spark Saratoga, boosting area entrepreneurs to grow business is a far more efficient path to grow future opportunities and investments,” he said. GMI was established in February, 1998 in Corinth as a competitive custom chemical manufacturer of specialty lubricants and additives that improve materials performance. It continues serve major clients like Dow Chemical, Momentive Performance Materials, General Electric and Castrol. Saratoga Casino Hotel presented a $15,000 donation to the Ronald McDonald House Charities of the Capital Region. The donation came off funds raised from the casino’s All-Star Sports Festival on Sept. 23. The All-Star Sports Festival featured over a dozen revered former professional athletes, including Super Bowl champion Lawrence Taylor, World Series champion Wade Boggs and Triple Crown winning jockey Steve Cauthen. The athletes participated in a full day of activities including autograph signings, a celebrity softball game and a home run derby contest. A portion of all tickets sold, as well as proceeds raised from home run derby, comprised the donations. Mannix Marketing, Inc., a digital marketing company based in Glens Falls, has made the 2017 US Search Awards’ shortlist in the “Best Use of Search – Retail” category. Recognized for its work on an organic SEO campaign for Gettysburg Flag Works, Mannix Marketing was named to the list along with nine other organizations. The fifth-annual US Search Awards recognize leading SEO, PPC and digital marketing organizations based or working in the United States. Developed and facilitated by Senior Digital Marketing Strategist Jessica Tracy and Digital Marketing Strategist Amberly Rundell, Mannix Marketing’s shortlisted campaign focuses on increasing organic search traffic from individuals and businesses looking to purchase products from Gettysburg Flag Works, a leading provider of fully customizable flags and banners. In response to the recent cyberattack that exposed the personal private data of nearly 150 million consumers nationwide, the state Department of Financial Services has proposed a regulation making credit-reporting agencies have to register with New York for the first time and comply with this state’s first-in-the-nation cybersecurity standard. The annual reporting obligation also provides the DFS superintendent with the authority to deny and potentially revoke a consumer credit reporting agency’s authorization to do business with New York’s regulated financial institutions and consumers if the agency is found to be out of compliance with certain prohibited practices, including engaging in unfair, deceptive or predatory practices. Under the proposed regulation, all consumer credit reporting agencies that operate in New York must register annually with DFS beginning on or before Feb. 1, 2018 and by Feb. 1 of each successive year for the calendar year thereafter. The registration form must include an agency’s officers or directors who will be responsible for compliance with the financial services, banking, and insurance laws, and regulations.